Sanjoy is a seasoned entrepreneur and experienced executive who has built and operated several successful technology businesses. In 1999 Sanjoy founded Air2Web, a leader in mobile marketing services. Under Sanjoy’s leadership Air2Web grew from a pioneering wireless services provider to become a market leader and global strategic mobile partner for over 100 of the most trusted brands in the world. Prior to Air2Web Sanjoy founded Synchrologic, a company that created the first enterprise class data synchronization platform for mobile devices. 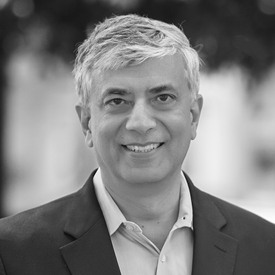 Sanjoy was responsible for raising venture capital, hiring a successful management team, and establishing partnerships with key industry leaders. Synchrologic was acquired by Intellisync which later became part of Nokia.